OVER 230 TECHNOLOGY TRANSACTIONS WORLDWIDE. Rewired GG the new E-Sport focused investment arm of Cascade Global ‒ an international multi-family office investing in emerging technology companies ‒ led the €20m investment round. Team Vitality will leverage Rewired GG’s expertise and global network to strengthen its position as a major organization on the global Esport scene. The Company will use the proceeds from the transaction to continue and build the Vitality brand globally. 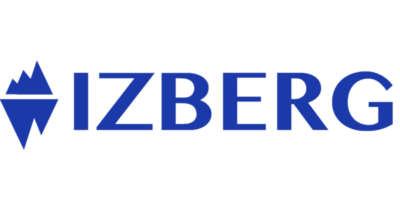 Izberg sold to IT service company Open Group. Wizbii raises €10 million from ODDO BHF, Caphorn Invest to finance growth. Leboncoin enters the fashion industry by acquiring 2nd hand fashion platform Videdressing. TUI Group Buys Musement, a global leader in tours and activities booking. Foederis raises 7m€ with Isatis Capital to accelerate international expansion. Aramis signs a strategic alliance with Clicars to build the leading online distributor of used cars. Idinvest, Orange Digital Ventures, BNP Dev. FAMOCO secures €11m equity financing round to fuel international growth. Oxatis, a leading e-commerce SaaS provider raises €5m from Arkéa Capital & historical investors. Boxtal raises €7m to fuel European growth. Lydia grabs $7.8 million for its peer-to-peer payment service, from New Alpha and Oddo & Cie.
Vente-privee.com acquires a strategic stake in Adotmob, a mobile marketing platform. Carrefour acquires the leading French online bio store Greenweez. RealImpact Analytics raises €12 million to fuel innovation and accelerate its expansion. AB Tasty raises €5 million in venture financing to pioneer innovation in predictive marketing. KissKissBankBank, leading p2p lending platform, receives €5.3 million Series B.
fifty-five sells a majority stake to US-based You & Mr Jones. NBS System, provider of private clouds, is sold to Oceanet Technology. Botify, a SaaS SEO analytics platform, receives €7 million in venture financing. Leading news and entertainment media platform dedicated to youth Melty receives €10.5 million. Restaurant SaaS platform Zenchef raises €6 million to accelerate its European expansion. Leetchi gets sold to Crédit Mutuel Arkéa to strengthen its position in the emerging Fintech market. Leading customer engagement platform iAdvize receives €14m financing to fuel global expansion. Vestiaire Collective secures $37 million funding, led by Eurazeo to accelerate European and US growth plans. Seaowl receives €15 million from Cathay Capital. Smallable receives €5 million Series B from Sigma Gestion & Aurinvest. Menlook, leading shopping platform for men, acquires German online fashion site Frontlineshop. Molotov.tv founded from former the Dailymotion Management receives $11 million. Vodeclic is acquired by Skillsoft Limited, a global leader in corporate e-learning. Linxens completes the acquisition of KnL Group, a Thailand-based manufacturer of RFID inlays and antennas. Webedia acquires Germany’s leading entertainment network focused on gaming IDG Entertainement Media. Asgoodasnew (Wirkaufens) has received more than €11 in its Series C.
1001pneus, leading e-commerce company for car tires, receives €6 million to boost growth. Ad2games secures a $9 million to invest in user acquisition & accelerate international deployment. Melijoe receives €9 million from GIMV to boost growth. Finsecur secures €25m financing led by Edrip and the 2020 Fund managed by ETI Bpifrance. Menlook gets €23m funding to develop its marketplace offering & finance potential acquisitions. Cityvox, leading french location-based mobile app, gets sold to Yelp. German Learnship enters into strategic alliance with Cartus, provider of global relocation services. BrandAlley is acquired by Private Outlet to become a European leader in online fashion retail. Webedia acquires Germany’s leading filmed entertainment website MoviePilot.de. Michelin takes a minority stake in SymbioFCell, the French leader in fuel cell technology. Webedia acquires Jeuxvideo.com, the French leading gaming website, in a €90m transaction. Odoo secures $10 million funding to grow its sales force, accelerate international expansion and pursue R&D efforts. Webedia acquires diwanee, one of the largest digital audiences in the Middle-East. Exacompta-Clairefontaine acquires Photoweb, the leading French online photo service. Sequans raised $26m on its public offering of American Depositary Shares. Sequans, leading provider of 4G chipsets receives additional funding from Serena Capital. Teads secures €4 Million funding to accelerate the international deployment of its online video advertising platform. Webedia, one of the leading digital media groups in France, is acquired by Fimalac Group in a €70m+ transaction. Clipperton Finance advises Vestiaire Collective on $20m strategic investment led by Condé Nast International. Withings secures $30 Million additional funding to accelerate international expansion and foster innovation. Dailymotion gets acquired by Orange. Sparkow (formerly Compario) receives €7 million. Greenweez secures €3.5m in funding to accelerate growth. AppGratis completes a $13.5m A-Round to strengthen global leadership in mobile app discovery. Leetchi completes a €4m B round to drive its European expansion and B2B business. Secretsales receives £6.3m to build the leading independent UK private sales platform. Videoplaza completes a $12m series B round to cement its global leadership in New TV monetization. Vestiaire Collective, second-hand luxury fashion platform, gets $10 million to accelerate expansion. Kobojo completes a $7.5m (€5.3m) fund-raising to support the development of the company in France and internationally . CoachClub raises €5m in a new round of financing to fuel growth in France and kick-start international development. 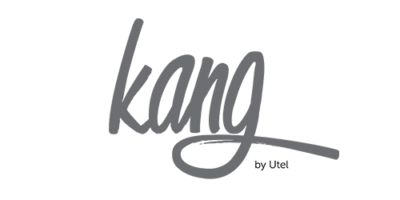 Kang (formerly Utel) receveives €2.7 million from Truffle Capital. Mobango, the first social mobile application store, gets acquired by India-based Mauj Mobile. McPhy Energy secures €13.7m second round financing. Wyplay secures €9m third round financing to expand its product offering. Sequans raises $28m to strengthen its foothold in the market. Aramis receives financing from Serena Capital and 360 Capital Partners. Ercom raises €12m to support its accelerating growth. Clipperton Finance successfully led the secondary placement of Metaboli shares. MonShowroom.com raises €4.3m to support its growth. Clipperton Finance successfully manages the first round of financing of C4M/Playtomo led by Innovacom. Liligo raises €3m to finance its development. Solaire Direct receives €20 million from various investors. Let It Wave acquired by Zoran Corporation (Nasdaq: ZRAN) for $27.6m. DiBcom raises €10.7m to finance its growth in 2004 and 2005. Ekinops raises $20m to support its accelerating growth. VoluBill raises €10.5m to fund aggressive growth strategy. Digitick raises €8m to ensure its European development. Sequans raises $24m in financing led by Kennet Venture Partners to ensure its international development. Dailymotion welcomes Partech & Atlas Venture and raises €7m. Metaboli raises €6m to accelerate its European development. DiBcom raises €24.5m round to extend Mobile TV leadership. KXEN raises $10 million from Motorola & Xange. DiBcom raises €10.7m to finance its growth.